Instagram has actually reported that Stories have encouraged users to stay on the platform longer and visit it more frequently. 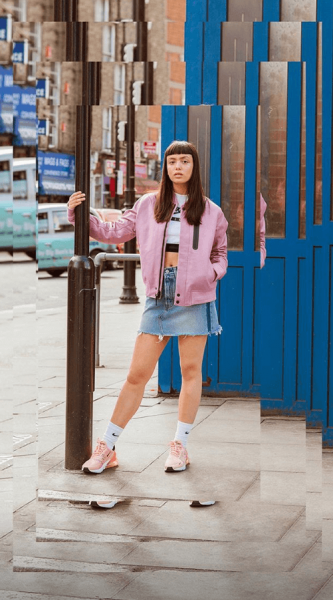 This feature revitalized Instagram and brands were quick to adopt it. Why? 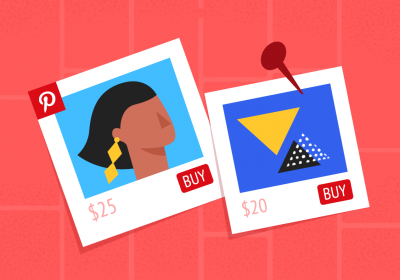 Because Instagram stories are a simple way for brands to offer unique and cool brand experiences on one of the most loved Social Media platforms on Earth. 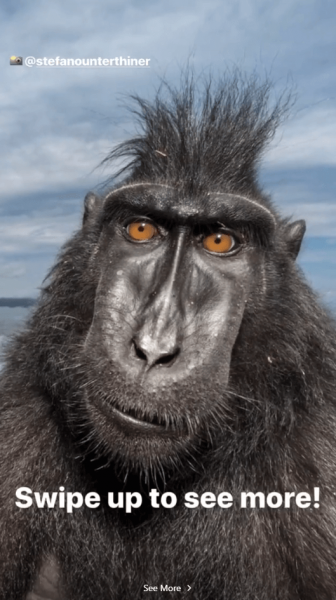 National Geographic is one of Instagram’s top brands with the highest number of followers (83.4 million) and the largest number of Stories published. Nike (77.5 Million) and Victoria’s Secret (59.5 million) follow close. If they’re on Instagram using Stories, you should as well! 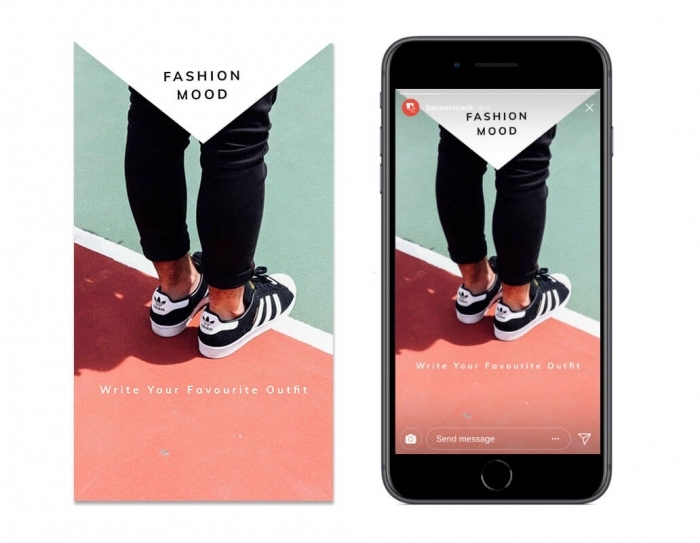 If you’re a brand owner or a social marketer interested in the power of Instagram stories for business, here’s a quick walk through the main benefits. Connect with your followers. Offer exclusive access to your behind-the-scenes activities, snappy how-to guides, stories or facts & stats. Insta stories are visible for 24 hours. You can post something daily, twice a day, or multiple times a day without the risk of cluttering people’s feed. Increase engagement with a poll, emoji slider and add your location. 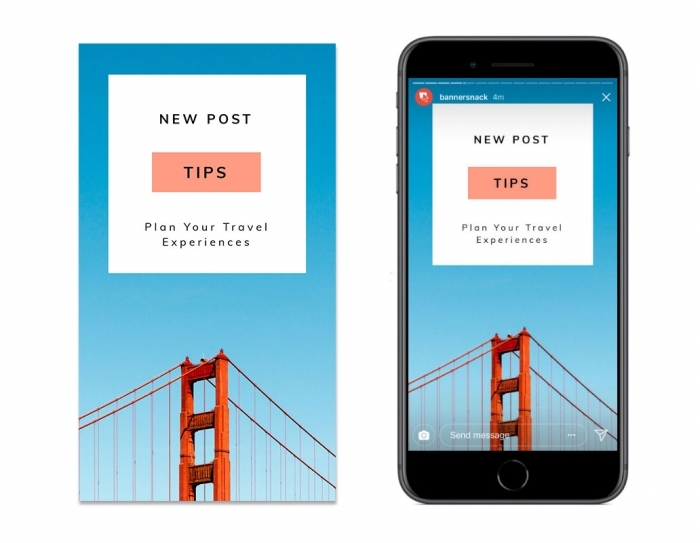 Use Instagram Stories ads to reach more people. Let’s see some Story ideas. 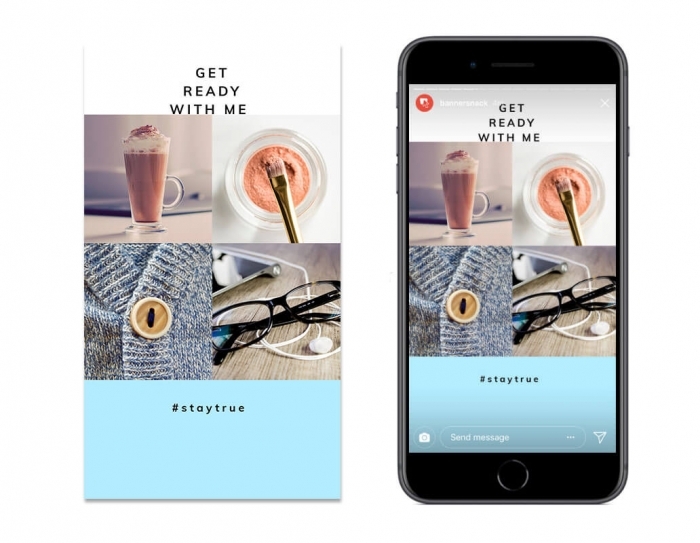 First, I’d like to introduce you to some of Instagram’s most memorable brand stories. I hope you will feel inspired and set out to create your own story confidently using our Instagram story maker. 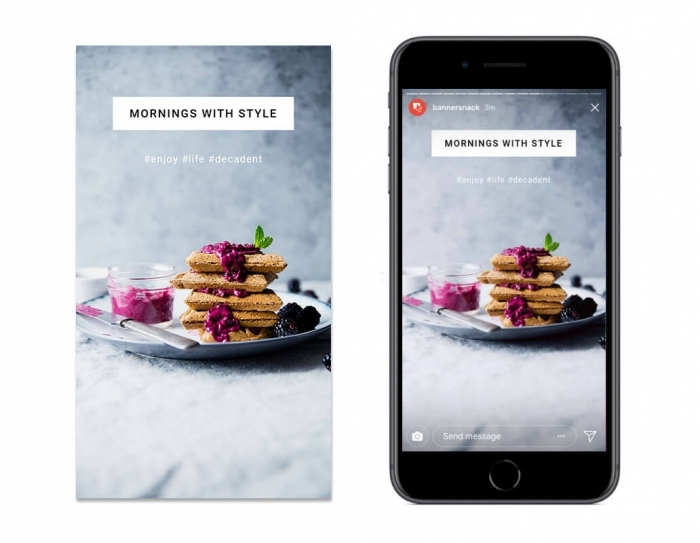 Then, to help you manage your social posts and make the most of Insta stories, I’ll show you some Insta Story templates. 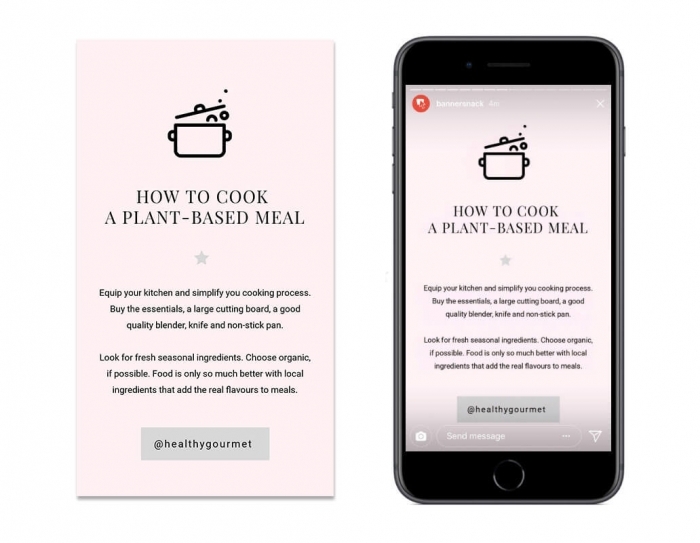 Here at Bannersnack, we’ve created lots of ready-made templates that you can post on Instagram. You can find them listed below and choose any one of them. You can either customize them by adding your logo, or call to action, or you can use one as a starting point for something that you already have in mind. Let’s go through them all. If you’re an enthusiastic blogger, you may want to present your post’s content on social media in an unconventional way. To stand out from the crowd. 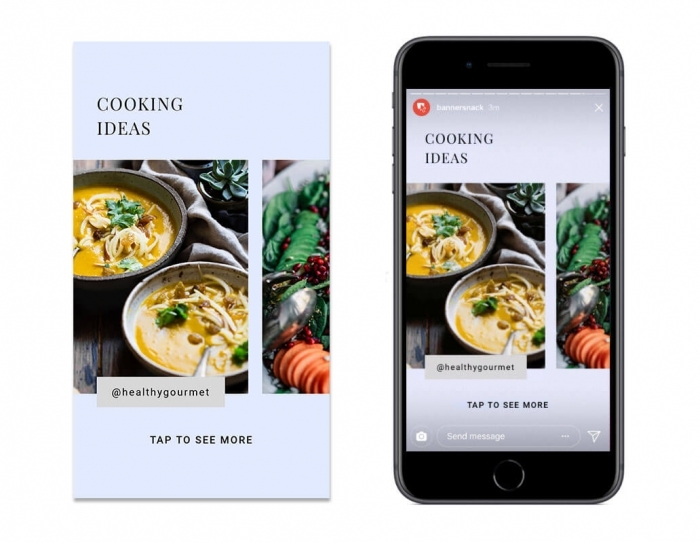 With Instagram Stories you can showcase your recipes (if you’re a food blogger) or your latest outfit (if you’re a fashion blogger), add a link to your blog and even sponsor the Story. That’s way better than posting a regular picture on your feed! Jamie Oliver, one of the most famous chefs in the world, posts recipes on Instagram on a regular basis. He’s a master chef, and his Social Media team definitely masters the art of Instagram Stories. So, follow him and learn from the best. Got some Story ideas already? 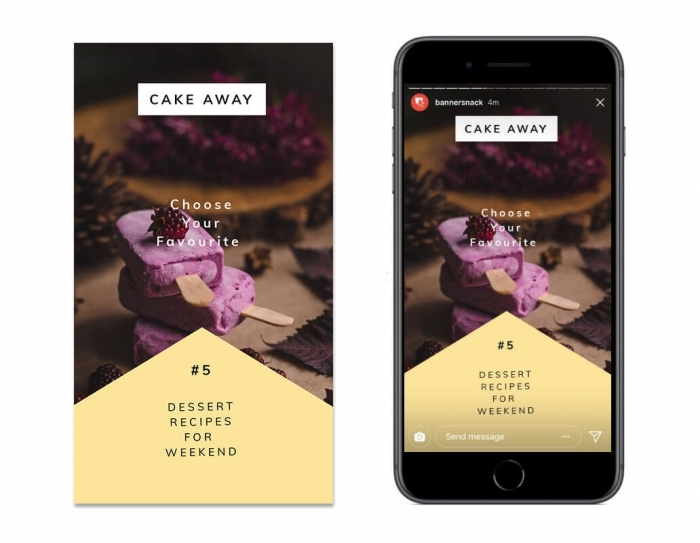 Start with these creative Instagram Stories templates below. Keep the background images or change them, you choose. Use text animation effects to make the Story come alive. Slide down, up, left, right, bounce your text. 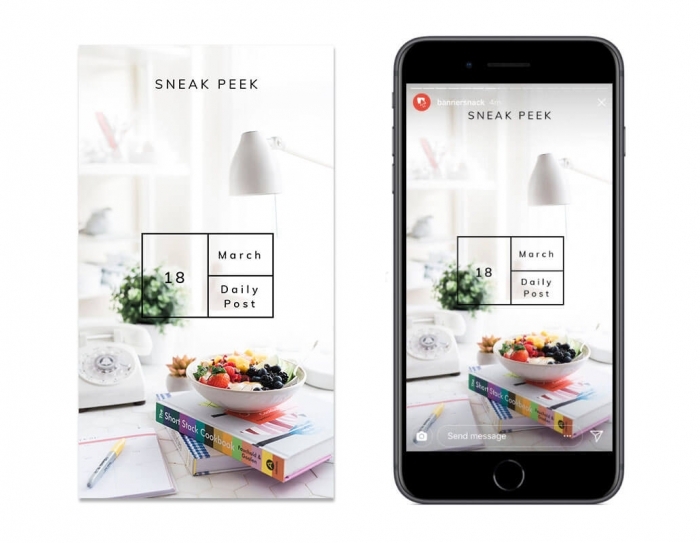 You can keep people interested in your brand by posting sneak peek Instagram Stories before you release a product or project. 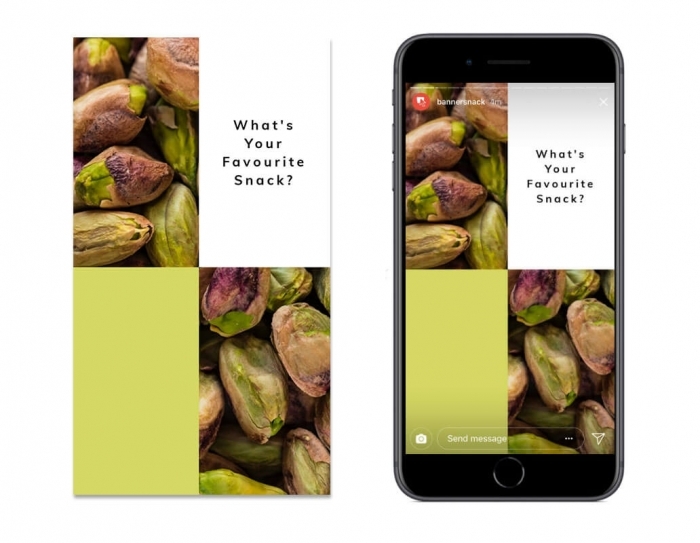 A well thought through teasing campaign made of Stories can help you increase people’s interest in your new product and maybe even sales! Here is H&M’s teasing campaign for this year’s eco Conscious Collection. A glimpse into their back studio and a list of the eco fabrics they used for the collection are enough to make us curious and hunger for more. And now, I’d like to introduce you to Nike’s amazing teasing campaign for their global On Air event. The brand is king not only when it comes to cool sneakers but also when they have to advertise their products and engage the people. 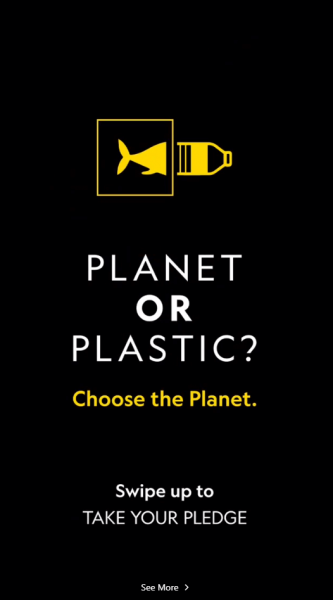 This time, they created this massive campaign that took place in 6 big cities around the world. They set out to find the next sneakers designer and Air Max model. The contest was open for everyone living in one of the 6 cities and 10.000 people enrolled. Also, they asked people on Instagram – through Insta Stories – to vote their favorite designer and sneaker model. And here’s our sneak peek template that you can start using right now. 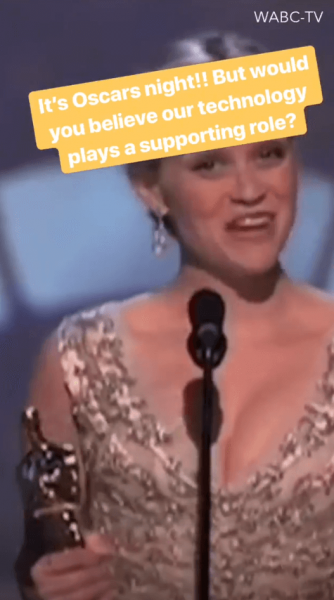 Instagram Stories are a great way to show behind-the-scenes content. People love peeking into somebody else’s world. So, you can show people exclusive scenes from the making of a cake, an outfit or any other product that you sell. 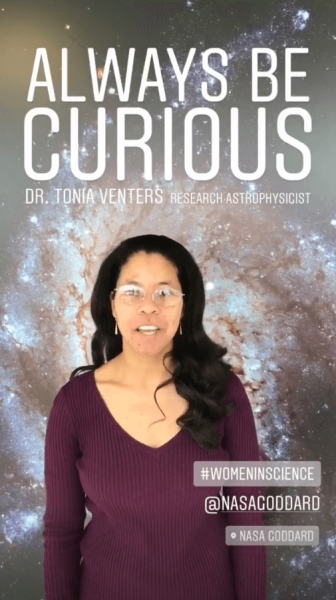 You are, most probably, an expert in your field, so why not release a few snappy how-to guides and contribute to your followers’ everyday life? If you’re selling food, show them how to cook a special recipe. If you’re a furniture company, show people how to decorate their house. If you’re a gym owner, create a quick how-to story about abs. There’s always something you can share with your fans and they will be grateful. 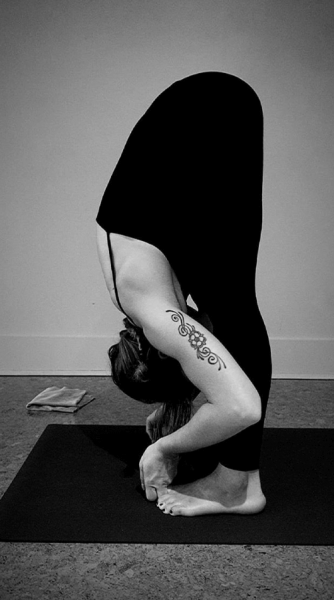 Ashtanga Yoga Toronto posted this Story to show how they exercise at the studio. This is just an example for us to understand how a simple thing as a picture can do so much! It makes you want to stretch! Use these templates as a start for your next story. 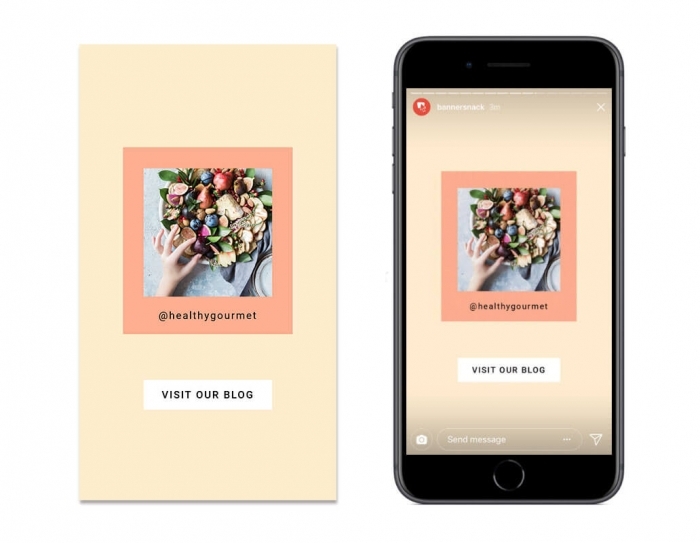 Just add your own elements, headline and text, change the color to keep it in-line with your brand and publish it to Instagram. Another way to use the Stories feature is to plan your day/project/journey and post it on Instagram early in the morning/at the beginning. 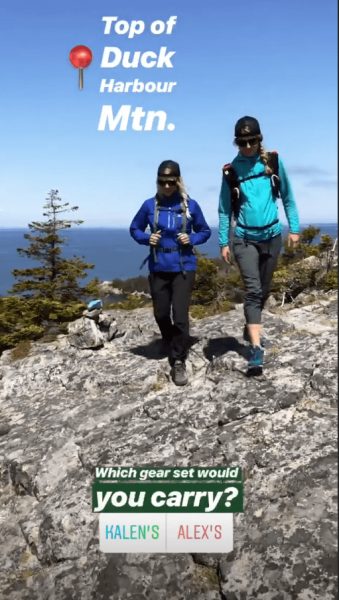 Salomon, a mountain & outdoor gear company creates this type of Stories to inspire people in their hikes. Looks nice, isn’t it? With a template like the one below, you can set your goal for the day and let people know what you’re into. Are you planning to win a deal with a client or are you about to create a new groundbreaking product? Let your followers know and maybe ask their support. 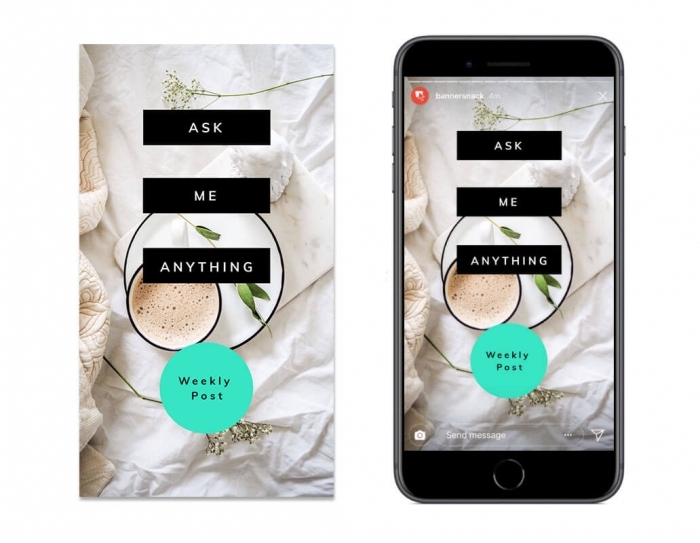 You can easily create buzz around your promotion with an Insta Story. 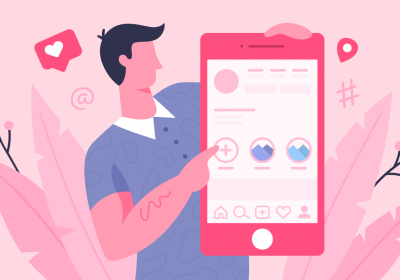 You can start off with this template, customize it to fully embody your brand’s personality and upload it to Instagram. Instagram Stories last 24 hours only. They say Stories are ephemeral. But, you can use this restraint as an advantage to promote your limited time offer. If you’re selling clothes, food, beauty products or small appliances, this is a great medium for you to promote your limited time offer! Have a look at Boots’ Story promotion: creative, surprising and engaging. We all need a morning motivational quote to start the day in a positive mood. As a brand, you can post a quote related to your brand activity, something your CEO said or just something you came up with and find it relevant to your followers. Remember: quotes are food for the brain. We never have enough of them. If you thought quotes are only for the ordinary people, think again. 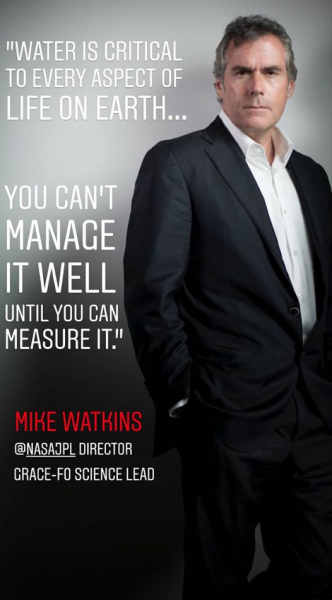 Even NASA posts motivational quotes on Instagram! Yes, NASA, the official big ol’NASA. If you’re wondering where to start off, here’s a quotes template for you. Nice and customizable. Just add your quote, change the shape and the background image, if you wish. You can choose one from our huge stock of images to suit your message. Go for landscapes, food or family life. Anything you want, we’ve got it. 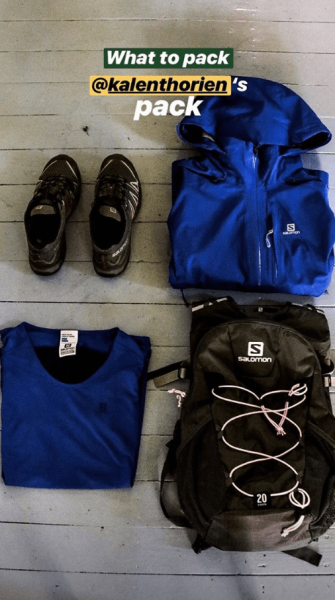 Got some tips & tricks on how to travel, where to eat or what to do during the weekends? Publish a post on your website and create an Insta Story to promote your post. 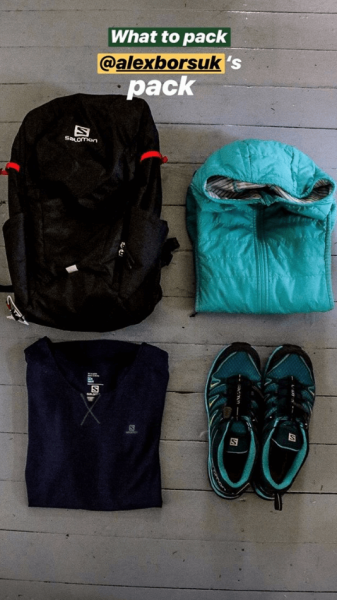 Offer 2-3 tips right there to grip everyone on Instagram. 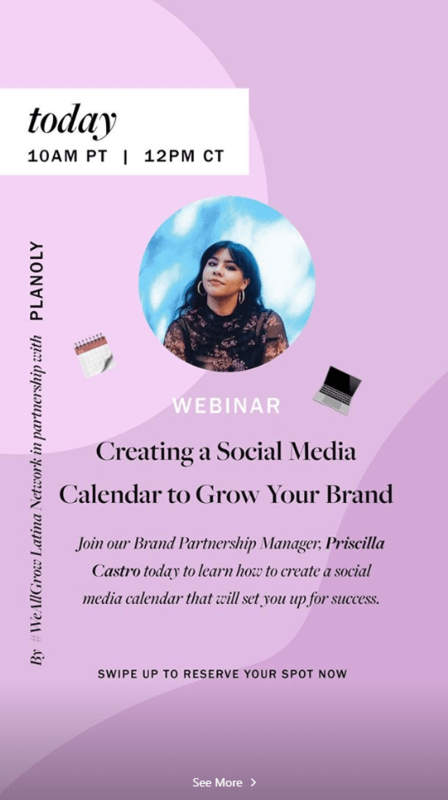 Planoly made this Story to promote their webinar on how to create a Social Media calendar. I’d expect plenty of tips and tricks there. 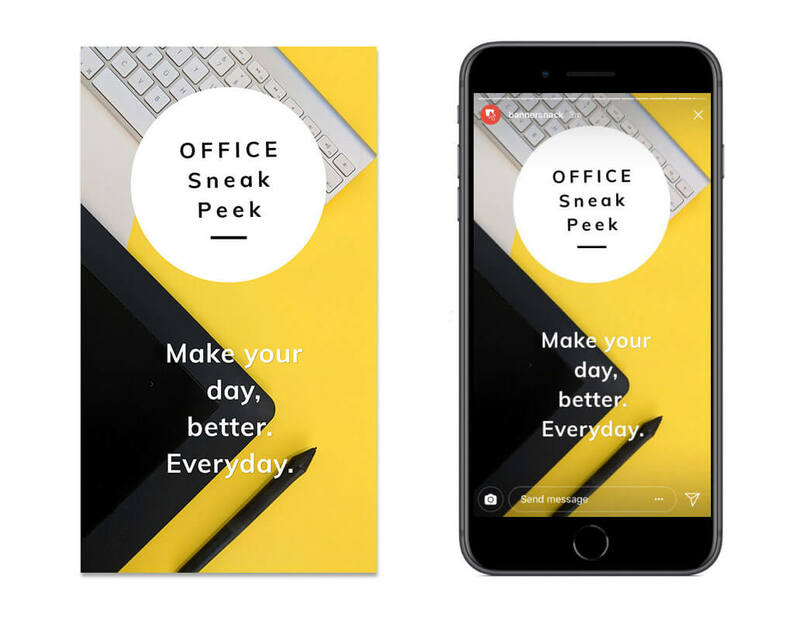 This is more than just a Story, it’s actually a well-planned webinar promoted through Instagram Stories with a link to their event page. Pretty awesome, don’t you think? Engagement is what you’re looking for. That’s why asking questions through Insta Stories will help you create a bridge between you and your followers, connect and eventually bond with each other. If you can run a contest every once in a while, that’s even better! Think of some prizes and make your followers enroll. Here’s an example from National Geographic. 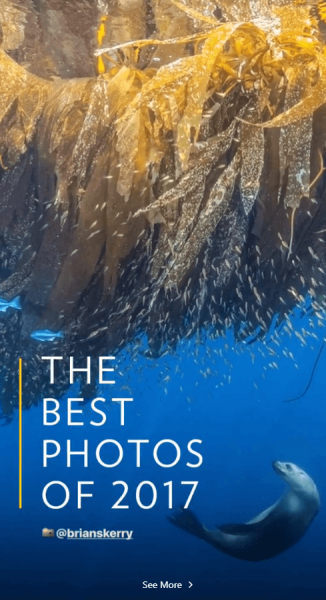 Their annual Best Photo of the Year contest is one of the most engaging contests online. 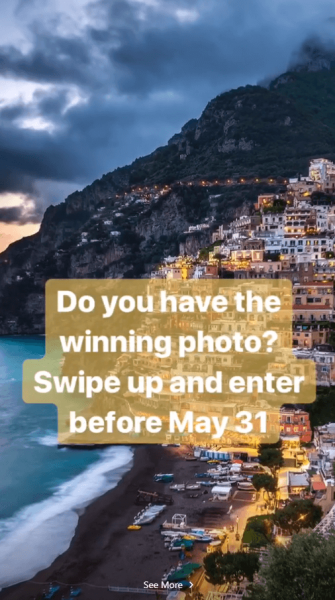 Now, your brand may not be National Geographic, but still, you can make use of Insta Stories to promote your contest and brand. And count the engagements. Use these templates to create your next interactive story and keep an eye on the results. 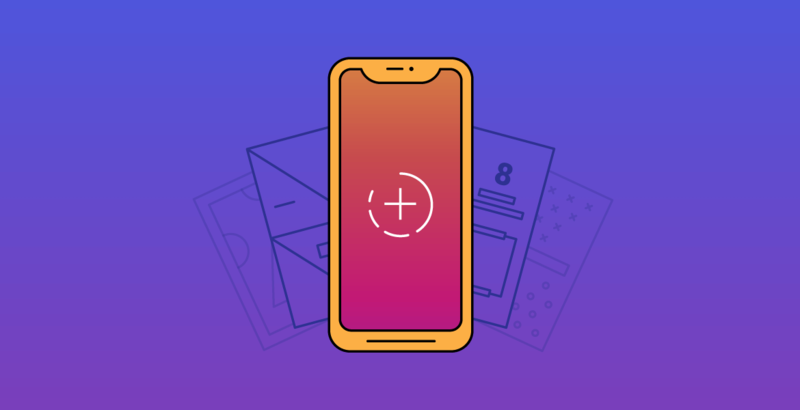 If you want to create Stories for Instagram, you have to make sure that you will use the most fitting size: 1080 pixels x 1920 pixels (aspect ratio 9:16), more information about size and formats, check out our Instagram image sizes guide. You can create videos, photos, text or animated images that “roll” for 24 hours before “expiring”. If not saved, stories will be automatically deleted from your account. That’s it for now. Stay tuned to learn more about promotion on Instagram! We’ve got more tips & tricks coming soon. You can start to create an Instagram story today using Bannersnack’s tools and templates. If you need assistance, our colleagues at customer support will help you get the job done.